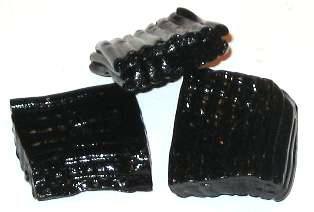 Black Tire Tracks licorice is a wonderfully soft, sweet black licorice with a delicious licorice flavor and texture. If you like Finnish Licorice, you will love Tire Tracks! Made in Finland.